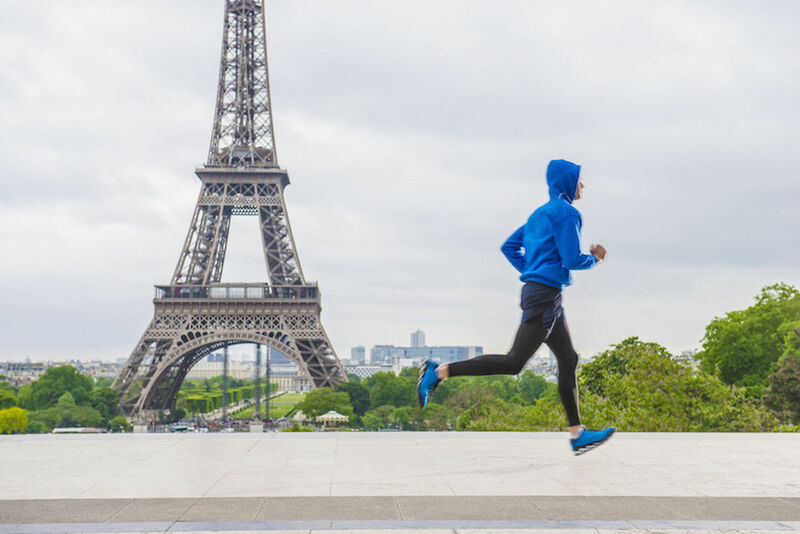 Ms. Lang naturally has plenty of tips on how to get some exercise while you travel. Here are some of the ones she offers her clients when they tell her they’re leaving town. Think about how you can include some activity on each day of your getaway, Ms. Lang said. If you’re in an urban destination that has a bike share program, for example, consider renting a bike for an hour or two, and take a ride along a waterfront or other scenic part of town. When visiting sites with scenic viewpoints at the top, such as on the observation deck of a building or the roof of a cathedral, climb the stairs to the top, if that’s an option. Even a few minutes of stair climbing will boost your heart rate, and you’ll be rewarded by great views at the end of your journey. And, if you’re hiking or exploring a local park, throw in a little exercise by doing 10 step-ups to a bench followed by 10 push-ups, and repeating the set at the next three benches you pass by. “This quick workout burst goes a long way in keeping you fit,” Ms. Lang said. Discovering your destination on foot is the ideal way to get an authentic sense of place and be active at the same time. Ms. Lang loves to design her own walking tours whenever she’s on vacation. “I make a list of the attractions I want to see and look at a map to find the best walking route that will hit them all,” she said. On her recent trip to San Francisco, for example, Ms. Lang started her day at a popular breakfast joint, hit two museums, visited Fisherman’s Wharf and ended the day at several bars. All told, Ms. Lang logged more than 10 miles through the hilly city, and took in plenty of sights at the same time. Take five minutes in the morning on each day of your vacation to do a high-intensity workout. “You’ll burn calories first thing and also feel energized for the rest of the day,” Ms. Lang said. Plenty of high-impact workouts that don’t require equipment are available for you to follow along online. Do a quick web search or visit YouTube for ideas, or drop by your hotel’s gym, if it has one. Alternatively, try the following workout from Ms. Lang: 20 push-ups, 20 squat jumps (where you go into a deep squat and jump up toward the sky as high as you can) and 20 burpees (where you jump up toward the sky, come down into a squat, kick your legs back behind you and then come back up). Repeat three or four times or until you’ve been moving for at least five straight minutes. Whether it’s to buy tickets for a popular attraction or cue up to board a tour bus, waiting in line can be an inevitable. Instead of passively standing and waiting, however, Ms. Lang suggested using your time to do three exercises that your fellow bystanders won’t notice: calf raises, which strengthen the lower legs, glute squeezes, where you tighten your glutes and hold as long as you can before releasing, to tone your backside, and belly breathing, where you exhale as you pull your stomach in and keep inhaling and exhaling while pulling it in more, to boost core strength. You might garner some odd looks, but the result will be worth it. This article originally appeared in The New York Times and was legally licensed through the NewsCred publisher network. Please direct all licensing questions to legal@newscred.com.